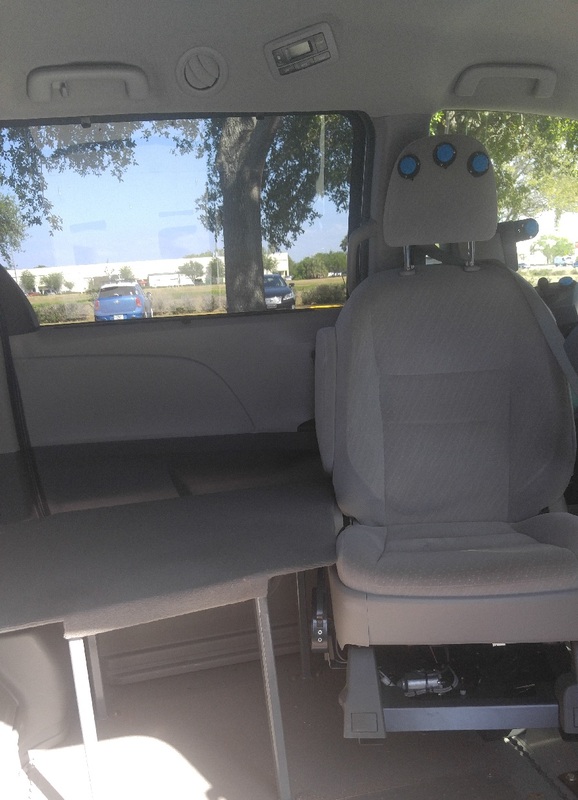 Driving With A Disability | Custom Mobility Inc. The front doorbell rings, and I already know who's there. I rush to answer it. In my haste, my arm slips on the dark surface of my wheelchair's joystick and - WHACK! Before I can slow down, the wheelchair's seat smacks into the door. "One second!" I yell at the surface of the whitewashed wood. Leaning forward, I reach upward with my neck, and begin to turn the key with my chin. As the lock pops open, I use my left arm to turn the door handle, and open the portal to the outside world. Today, is the first day of the rest of my life, a new beginning, the day that I meet my destiny, or whichever cliché I should use. I take a breath, and say "Hi" to my driving instructor. When we accomplish milestones, or have profound experiences, those memories usually latch themselves to our brains. We can remember exactly what we tasted, what we saw, what we smelled, what we felt. Every sensation is as clear as the moment that we experienced them. The short account above, shows how I felt, before driving for the first time. I guess that most people start driving around the ages of fifteen or sixteen. Well, at least that's the way it works in Florida. Though most teenagers count down the days until they get their licenses, I didn't. All of my friends started to drive. Even my brother, who is a few years younger than I, bought his first car when he was sixteen. Here I was, at eighteen years old, without a car. And I didn't care. Looking back, it bothers me that I was so apathetic about driving. As a quad-amputee, and as a power wheelchair user, I kind of assumed that I'd always need a chauffeur. I had never known another wheelchair user, who could drive a car. Even if I had, I couldn't wrap my mind around my own ability to drive. I'd ask myself: "How does a car work?" I figured: "With a steering wheel, a gas pedal, and a brake pedal." The next thought that jumped into my mind, was: "How am I supposed to use a steering wheel, a gas pedal, and a brake pedal, without hands or feet?" Judging by my peers, I should've been ecstatic about driving; instead, every time I thought about it, negative musings about my limitations would begin to creep into my mind. At first, it would leave me feeling depressed. Before long, I felt nothing. At the end of my senior year in high school, that started to change. In preparation for college, I began meeting with Vocational Rehabilitation. That was the first time that I learned about electronic controls, and how they can be used to operate a vehicle. This moment was pivotal for me, because I started to get excited. Who cares that I was twenty-one, instead of sixteen. The cliché, "Better late than never," seemed apropo. Before getting the opportunity to drive, I graduated high school. I started attending community college, and quickly realized how limited I was. Without a mode of independent transportation, I felt isolated. Firstly, I was a college student, who was driven to class by his mom. Secondly, college students often hang out after class, form after-hours study groups, and engage in other, school-related activities. The former, left me feeling too dependent and childish. The ladder, because my parents had work, and because my brother was still in high school, quickly became a logistical nightmare. After an arduous process, everything finally started to work. 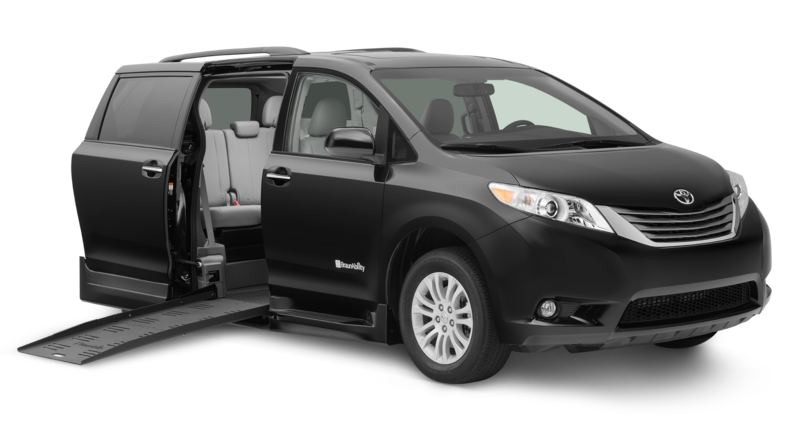 I was approved for driver's training, did an initial assessment with a driving coach, and purchased a minivan. Upon the conclusion of some initial testing, my instructor ordered the appropriate devices, which were then installed in my vehicle. Before I could even get my license, I was required to complete about twenty to thirty hours of training. Though the devices were easy for me to use, they took a bit of time to get used to. So, what does the vehicle actually look like? Well, I drive a 2016 Toyota Sienna, which has a Braun® conversion. 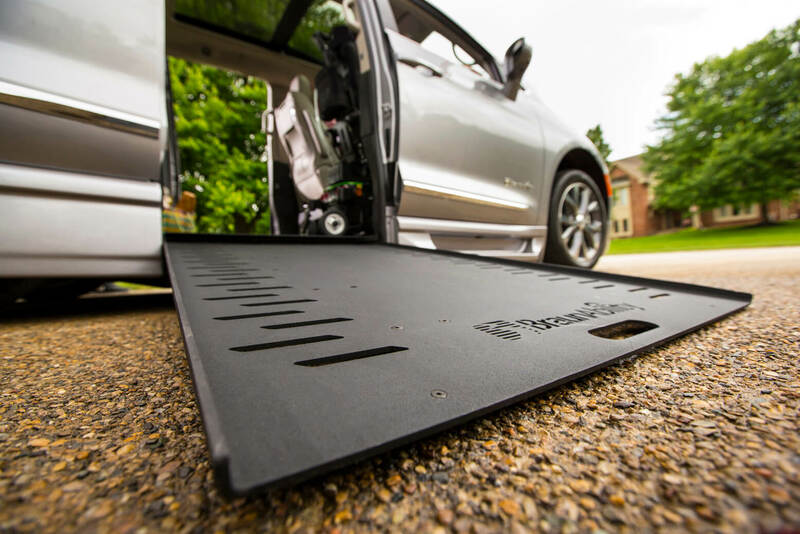 With a power, foldout ramp, as well as dropped floor, I can independently enter and exit my vehicle. A back-up camera makes it easier to see behind my van, and prevents me from straining my neck. Since I'm a quad-amputee, and my limbs are so short, I use an EZ Lock to secure my wheelchair. By grabbing a pin located on the undercarriage of my wheelchair, the EZ Lock will hold my chair in place. What's even better, is that it doesn't need to be fastened by straps or tie-downs, which means that I can do it, independently. To lock my chair, all I need to do is drive over the device, which will grab the pin. A button on the ceiling will release it. After fastening my chair, I transfer onto a table. I walk on the transfer table and hop into the captain's chair. On its headrest, are three buttons. By pressing the ones on the left and right, the chair will turn around, and bring me closer to the driving controls. To drive, I use a few products, made by a company called EMC. For gas and break, I have what's called an L-Series controller. Pushing the device forward, will give the vehicle gas, while pulling backward will apply the break. 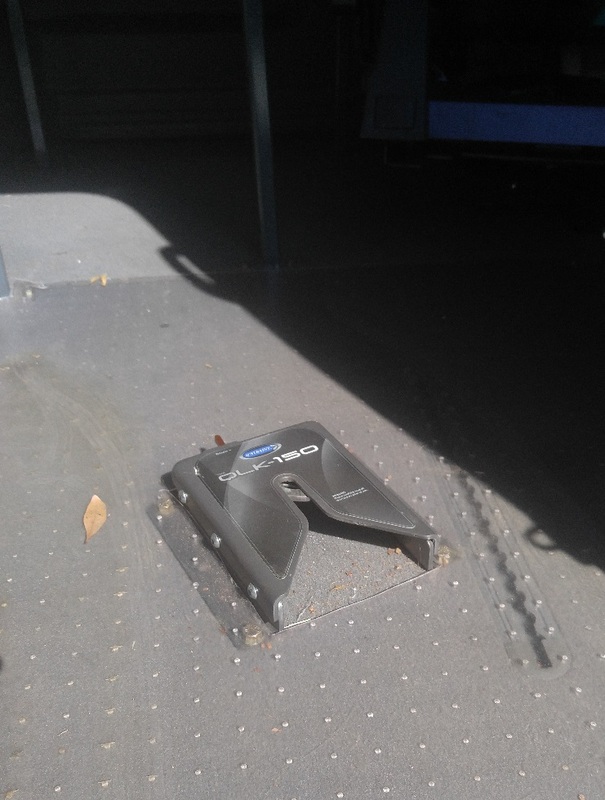 To steer, I have an X-Series controller. It will steer the vehicle either left or right, by pushing the joystick in the respective directions. The button in the center of the headrest, operates a device called a DigiTone. If the button is pressed and held, it will emit a series of eight notes, which are a musical octave. Each note corresponds to a specific function. For example, I use the DigiTone to use the following functions, in order: left turn signal, right turn signal, dimmer switch, horn, windshield wipers, etc. I also have a VIC, or Voice InterActive Controls, which will let me use my voice to utilize any of the aforementioned functions. I have it as a back-up, in case the DigiTone ever fails. I've tried to be concise in conveying this information. The system that I use to drive is pretty complicated, so takes a bit of time to do so. While it's easy to be star-struck by all of the buttons, levers, and joysticks, there's an oversight that's easy to make. The fact that I can drive, at all, seems a miracle, in-and-of-itself. As I stated at the beginning of this post, I had always assumed that I couldn't. Before we say goodbye, let's work through a few, key points. This equipment is expensive. In fact, it's very expensive. Unlike most, other products, Assistive Technology is considered to be medical-grade. In terms of quality, products must meet a number of different requirements, and/or have a variety of certifications, before they can be sold. It can be expensive for manufacturers to get these certifications. To make a long story short, this process drives up the cost for consumers. Assistive Technology falls into an odd category, because it... well, assists people with disabilities. It helps us do things, or accomplish tasks, which would otherwise be impossible. Statistically speaking, people with disabilities are amongst the most impoverished people, in the world. Some of us need AT to lead happy, healthy, and productive lives; however, since it can be very expensive, how can many people with disabilities afford it? 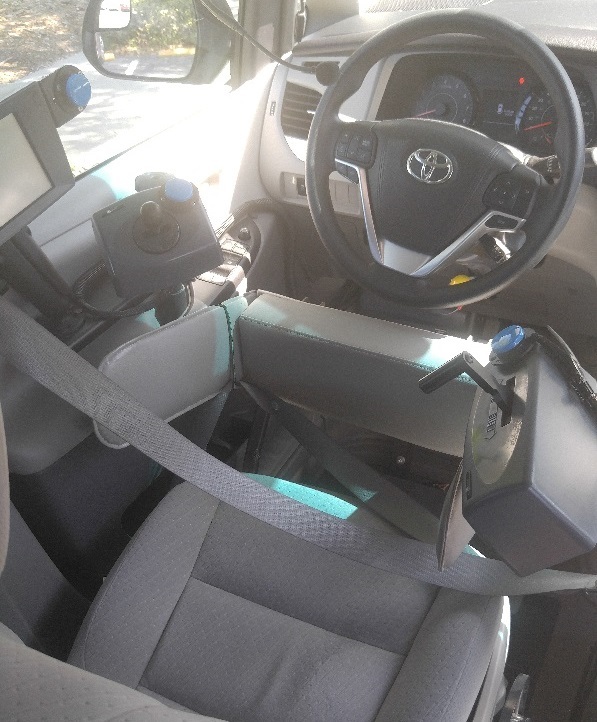 Assistive driving controls seem to be an extreme example, but are they, really? What's the alternative to driving? If you live in a city with a bad, public transit system, it means stagnating, remaining unproductive, being confined to your home.